Wayne Braybrook and RAW Enduro are proud to announce Protect My Income as headline sponsor for the Ball Breaker Extreme Enduro on February 17th. The Ball Breaker is a Brand New Extreme Event on the UK Enduro Scene, something that clerk of the course Wayne Braybrook is more than capable of making an annual pilgrimage for enduro fans. Front Man Nigel Lynn has been speaking with RAW for some time to be included in the RAW Events 2019 programme. Nigel will himself be riding selected RAW events when his work schedule permits. Protect My Income will also be title sponsor of the very popular RAW Challenge Championship. For 2019 this new 4 round championship has a solo ironman, or 2 man relay Team option. With 4/5/6 and 7 hours over 4 separate races, there’s certainly a challenge for all riders, as well as an awesome fun friendly atmosphere at these events. Early April the Challenge Championship begins in Derbyshire for the 4 hour, then Ripon for the 5 Hour, before Lancashire hosts the 6 and 7 Hour events. The Ball Breaker Event is filling ups Fast, so if you want to tell the grandkids you rode the first ever RAW Enduro Ball Breaker Extreme Enduro, get entered fast!! 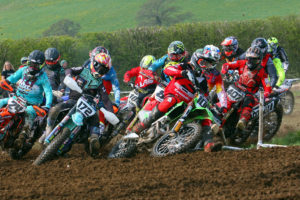 2019 Motul Northern Youth Enduro Championships dates!